Now here’s a very tasty app idea. Two Dublin brothers by the names of Conor McCarthy (above left) & James McCarthy (above right) have created a new kind of online food-ordering app that they hope will “make it ten times easier to order takeaway food deliveries”. 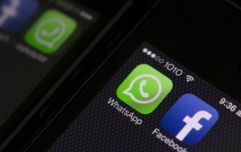 So, what’s the app? 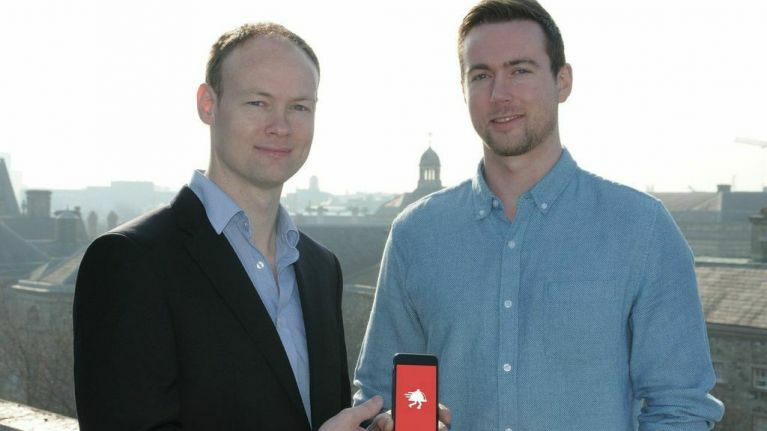 Conor and James have called their app Flipdish and it’s set to launch in July. That’s right, when Flipdish hits the market you’ll be able to order food right from your wrist. Pretty cool, right? 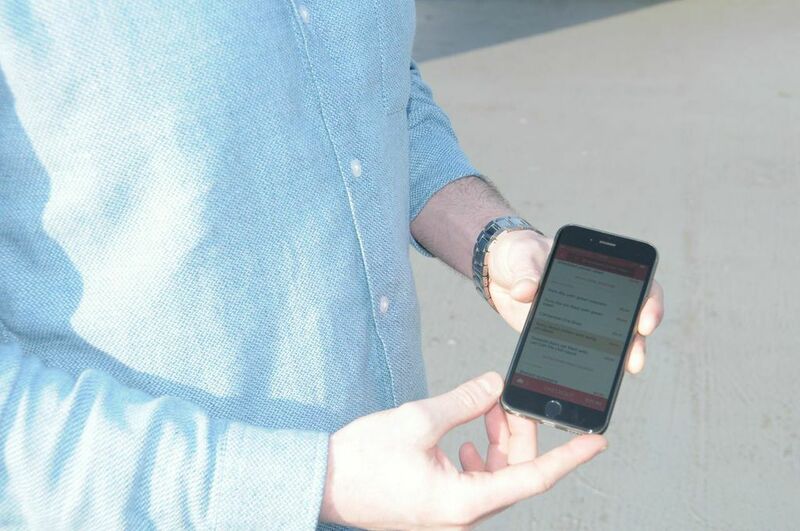 The idea for the Flipdish app came about when the guys realised that ordering food online can often take quite some time and effort, with some apps needing up to 20 text entries before your order is confirmed. They wanted to create a ‘smart app’ that takes the hassle out of ordering food online and that’s where Flipdish comes in. 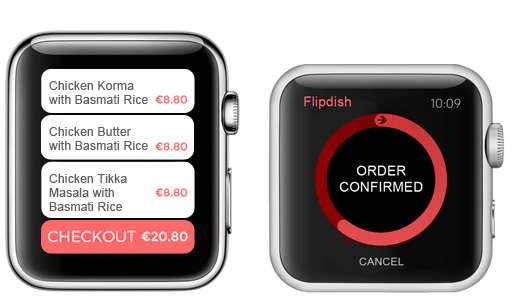 JOE: So, Conor, is this the first food ordering app for the Apple Watch in Ireland? Conor McCarthy: Yes, I believe that it is. I haven't seen any news about any other takeaway ordering apps for the Apple Watch anywhere in the world, including Ireland. Our app is launching in July and right now it looks like it'll be the first one of its type available. JOE: How many restaurants do you have on board? Is it difficult to get them to sign up? Conor McCarthy: We plan to allow customers to order from any one of 1000 restaurants in Dublin when we launch in July. Signing up restaurants is a work in progress and we'll release details on who's on board at a later date but we can say that we plan on having some key partnerships. We've found that restaurants are very happy to work with technologies that bring then new customers and orders. JOE: One of the “Awesome Features” on your website is the ‘Two Tap Order’ feature. How does this work? Conor McCarthy: When you place an order it gets saved in the app. When you open the Flipdish app on your iPhone you'll instantly be shown a list of your most recent orders - like below, for the iPhone and somewhat smaller for the Apple Watch. When you tap an order it gets added to your basket and you are brought to the checkout screen. Then tap the 'Place Order' button and your order will be placed. Our smart mapping technology will detect if you're near where you've ordered from before (eg. at your home) and the food will be delivered there. 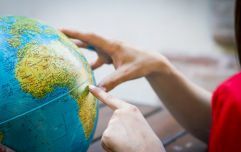 You'll be shown where the food will be delivered to before you place the order, so you'll know exactly what's going on. 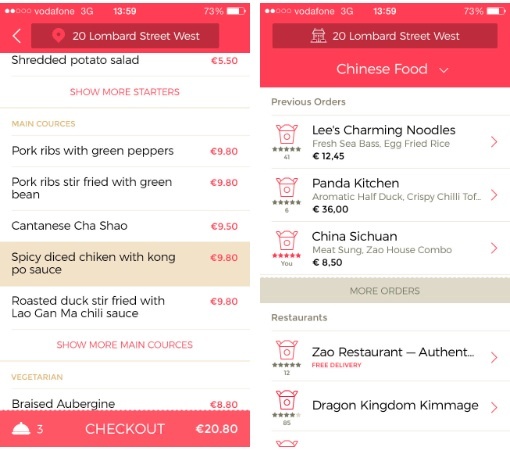 JOE: The online food ordering market is growing fast here in Ireland. What sets you aside from the rest? Conor McCarthy: The online food ordering market may be growing fast but the options for Irish consumers are not. Online ordering here has been in the dark ages for far too long. There are very limited options available for consumers at the moment and in my opinion they are all mediocre at best. They remind me of the days before Google search came along. Back then, we thought Yahoo search was good enough, but we were missing out on a whole lot of awesome. Now we couldn't imagine using a search engine as slow and as bad as Yahoo was back in 2002. 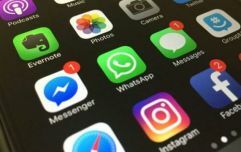 Our app will combine the speed that we associate with Google and the ease of use that we associate with Apple. Enter your phone number on the flipdish.ie website and we'll send you a link to the app when it's launched in July and judge for yourself. JOE: Finally, do you prefer working on the iPhone app or the Watch app? Which is better and why? Conor McCarthy: Right now, it's Apple Watch all the way. It's great fun working with new technologies that make new things possible. Imagine coming home from work; traffic is jammed; your fridge is empty and the thought of a detour to the shop and an hour's cooking would nearly make you cry. Then you tap the Flipdish icon on your watch; your favourite three meals appear and you opt for a Chow Mein instead of a Korma today. One tap later and your food is on the way. Better hope the traffic eases up or it'll get there before you do! JOE: Too right, Conor. There’s nothing worse than a soggy, cold Chow Mein. Thanks for chatting to us. For more info on Flipdish head over to the official Flipdish website and don’t forget to check out their Facebook and Twitter pages while you’re at it.